Want 24/7 access to your QuickBooks Pro/Premier/Enterprise (aka the desktop versions)? Consider using a hosting service for your QuickBooks desktop software. The concept of “hosting” QuickBooks can seem quite overwhelming – but it doesn’t have to be! 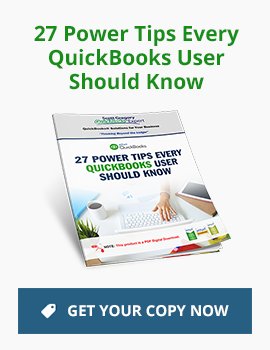 I’ve asked my partners at gotomyerp QuickBooks hosting to offer some insights on what you should know. 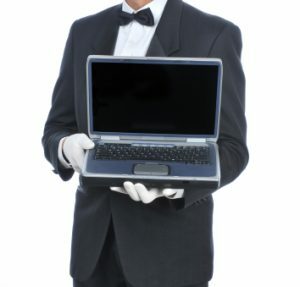 Q: What is the definition of “hosting QuickBooks”? A: QuickBooks Hosting by gotomyerp is powered by a remote cloud infrastructure and accessed globally through the internet backed by Amazon. Hosting QuickBooks provides the same functionality as locally installed software but performs better, allows for workforce flexibility, is more resilient to outside threats. Maintenance is included. Your team collaborates in real-time with your own dedicated-private servers, on the road, at home or in the office. 24/7 access, anytime, anywhere. Q: What should a business know when selecting a hosting company for their QuickBooks and operations? A: Be careful of low prices. Many hosting providers lure customers in with low prices. There are a couple reasons why they do this. But the primary reason is that their architecture is limited or underpowered. They pass that savings on to you, but users only find out about the substandard performance after your using their system. An example would be the solution Intuit suggests. For a few users it’s… okay. But when your company grows, becomes more complex or the company database becomes larger, the Intuit hosting provider shows its restrictions. Simple or complex requests make the difference in how your business runs. 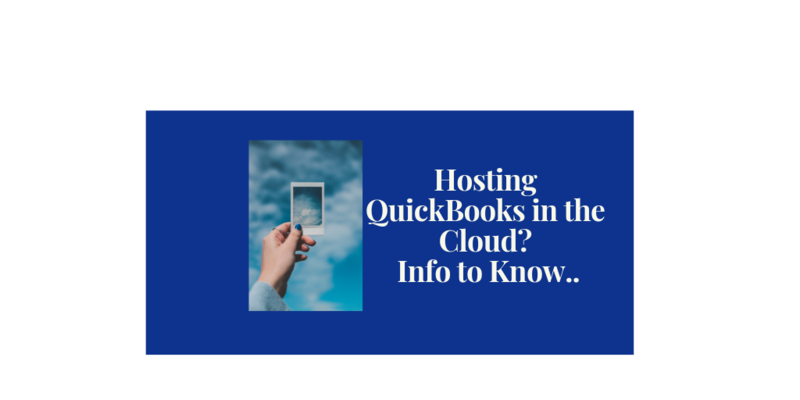 Although most hosting providers will help you with simple requests, all will limit what they do especially when it comes to actual questions about QuickBooks, the systems you’re using or general questions about your technology helping your business… they let you find other resources. Exceptional hosting providers will provide dedicated servers and network resources, a team of expert consultants and engineers as well as help when you need it most. And most importantly, everything should just work. A: Why is this important? An Intuit Authorized Hosting Provider usually meets or exceeds the minimum standards required to support and manage QuickBooks for your company. More importantly, an authorized provider works with Intuit and keeps your environment in compliance with the Intuit End User Licensing Agreement. Q: What about Contracts and Cancellation Polices? A: Is the hosting contract on a monthly, annual (or longer) basis? Depending on your actual need, providers may provide better pricing for longer term commitments. Is there a cancellation penalty if I’m not happy? All providers should do their best to earn your business every day. Providers that offer month-to-month plans usually allow you to exit with minimal or no penalties. Those who offer longer term arrangements usually do so because they get better pricing from their vendors for a longer-term arrangements. In these cases, you should expect that fees to exit those agreements may apply. Q: What type of services and guarantees does gotomyerp hosting provide? Performs the installation of all the solutions you’re using with QuickBooks. Provides direct support to your consultants and all 3rd Party solution support teams to assist in managing the customer’s experience. Publish engineered support protocols, service level agreements and keeps an active easy to use Knowledge Base. Allow nearly all 3rd Party applications without performance constraints or use. Q: How long does it take to get hosting up and running? A: It normally takes 3-4 days to set up your environment because these are custom, private dedicated servers. With your help, we can have your test environment ready for you to quality control check your systems, get your team familiar with accessing and plan a date where we bring you into production. Q: Can gotomyerp host my existing QuickBooks Pro, Premier or Enterprise license? A: Absolutely. We allow you bring your own license (BYOL). ARE YOU CURRENTLY USING A HOSTING COMPANY FOR QUICKBOOKS? Comments and insights about the pros and cons of your experience are welcome – our readers will appreciate your “on the ground” insights about how hosting QuickBooks has worked out for your business!